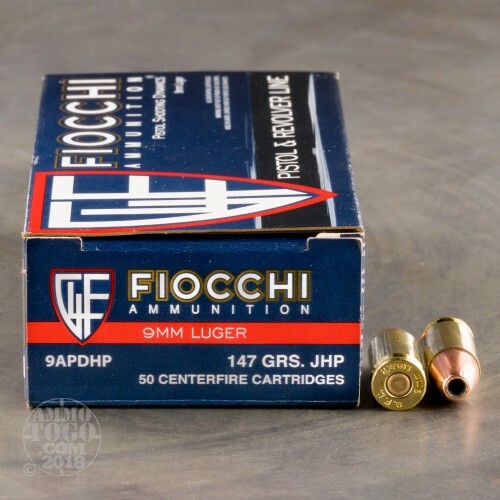 This 9mm cartridge by Fiocchi is capped with a 147 grain projectile, the heaviest bullet you’re likely to find on a factory load. 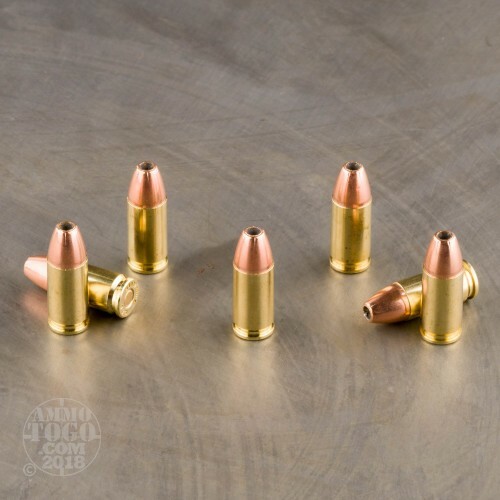 The bullet’s hollow point means that it will expand to far wider than its original width as it tunnels through a soft target. That expansion is controlled by the bullet’s metal jacket, which has notches around its tip to pre-program said expansion. 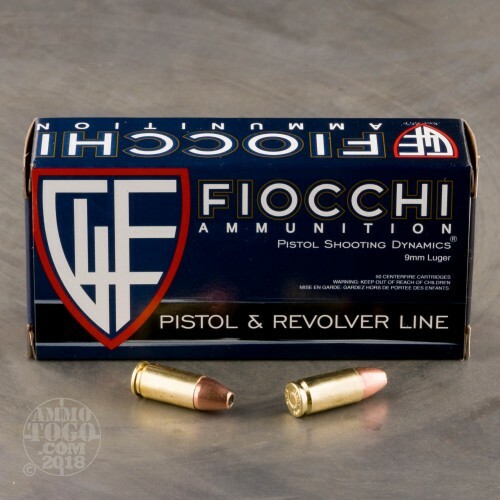 The jacket further assures this round will feed reliably in a semi-automatic pistol, because a jam isn’t conducive to self-defense, and that it will penetrate a target effectively as well. For its agreeable price tag, this is a fine choice for your everyday carry. 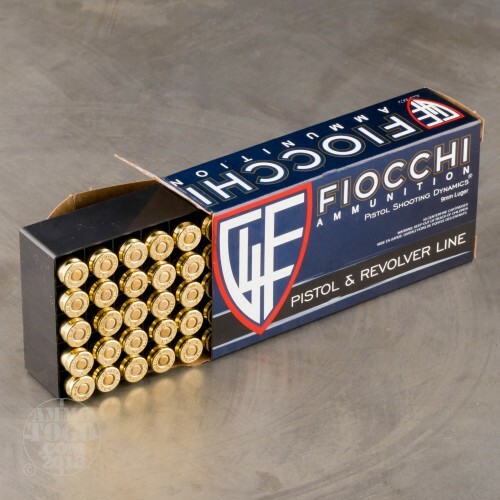 Fiocchi is based in Italy, where they’ve made high quality ammunition since 1876. Most of the centerfire pistol ammo that they sell in the United States is made right here in Ozark, MO, so this round represents the best of both worlds: Italian engineering, and American craftsmanship.